Located just 8 miles west of Minneapolis, Minnetonka has convenient access to the entire metropolitan area with its proximity to Highway I-394 and I-494. A population of 51,480 makes it the 14th largest city in Minnesota. Yet with its priority for preserving natural resources, life in Minnetonka offers 42 community parks, more than 40 miles of trails and more than 1,000 acres of public open space, as well as natural scenery that includes mature trees, wetlands and prairies. Minnetonka has miles of running, biking and walking trails, part of the 40-mile Loop Trail Corridor System which has been developed by the City. Minnetonka is a family-friendly and nature-friendly community. Residents living in Minnetonka are served by a wealth of resources, including three public school districts and three private schools, two libraries, many churches, a variety of transportation options and other community agencies. Gray’s Bay, which forms the headwaters of Minnehaha Creek, is the one small bay on Lake Minnetonka that is in the Minnetonka city limits. But there are plenty of other recreational options in Minnetonka, including Libbs Lake Beach, Shady Oak Lake Beach, playground programs, 14 outdoor skating rinks, the Glen Lake Skate Plaza and park programs and leagues for about 45 activities at more than 50 sites. Minnetonka has miles of running, biking and walking trails, part of the 40-mile Loop Trail Corridor System which has been developed by the City. Minnetonka is a family-friendly and nature-friendly community. 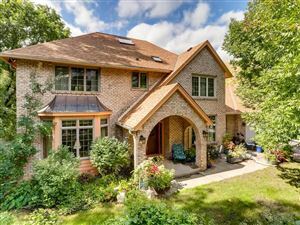 Check out some of the great Minnetonka Homes For Sale below!